I always wanted a combination of cauliflower and peas with the gravy and thus I came across with this recipe. 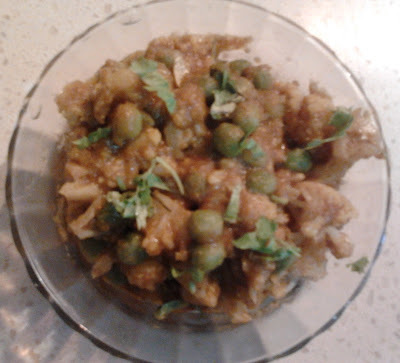 This dish is so simple that it is made with little ingredients and gives you restaurant taste. It goes well with chapathi, naan, rice, fried rice, rumali roti, kulcha and kerela paratha. 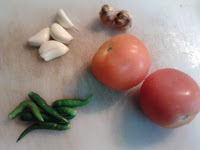 NOTE : One can also try with other vegetables like baby corn, potatoes, mushroom and any other vegetables of your wish. Gives you almost the same taste. Cut the Cauliflower and soak it in a warm water with little salt for 15 minutes. 2. In a pan, add 2 tblsp of oil. 3. Add the grinded paste, salt. 4. 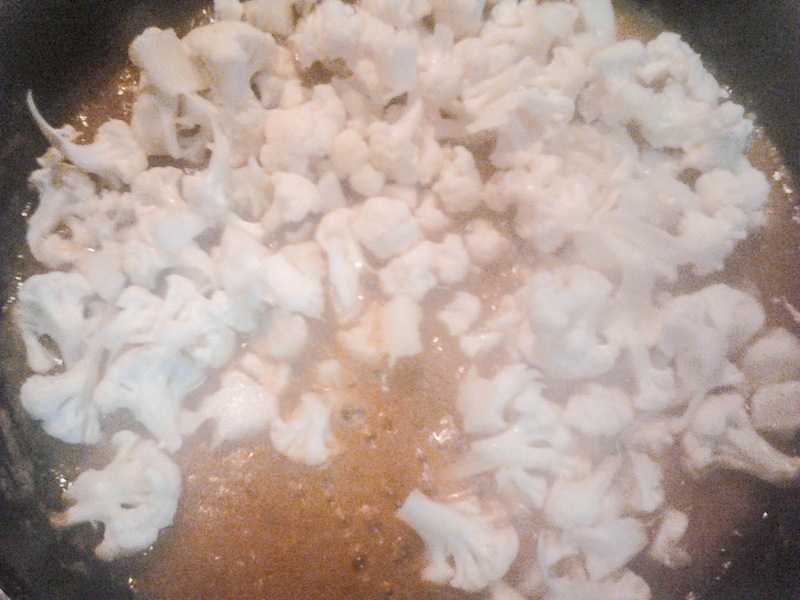 Once it boils and starts to leave oil, add cauliflower into it. 5. Fry until paste leaves oil. 6. Add 1 glass water and leave for 10 mints on low flame by closing the lid. 7. Add all the powder mentioned above. 8. Switch off the gas and decorate with coriander leaves if needed.